The group working to repeal Michigan’s prevailing wage law was dealt a blow Tuesday when the state’s Board of Canvassers decided to reject its request to send its proposal straight to state lawmakers. 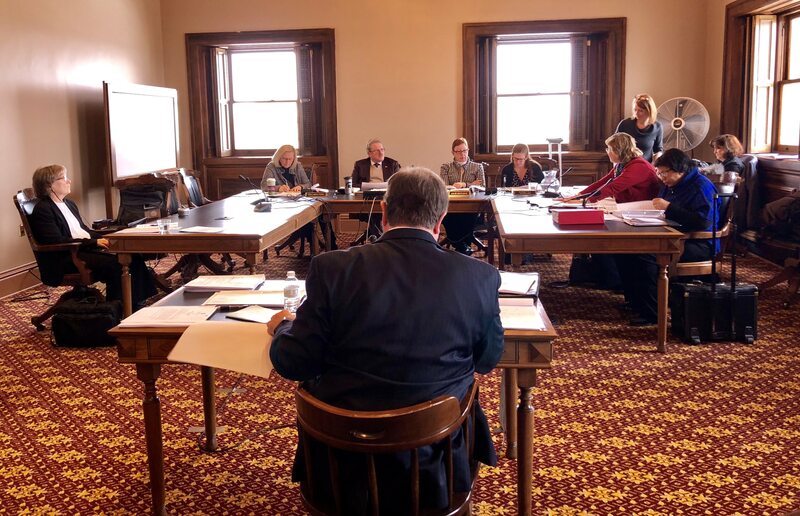 Protecting Michigan Taxpayers, the ballot committee spearheading the repeal effort, hoped to convince the Board that a handful of signatures deemed invalid by the Bureau of Elections should be considered valid under a more generous, “tie goes to the runner” philosophy. The group argued that when determining if signatures should be disqualified due to illegible or confusing handwriting, the state should err on the side of considering them valid. Petition signers “should be given the benefit of the doubt and not be disenfranchised for what amounts to sloppy handwriting,” Gary Gordon, attorney for Protecting Michigan Taxpayers, told the Board Tuesday. Those handful of signatures are significant because if they were considered valid, the ballot petition would have reached the threshold for it to go before the Republican-dominated legislature, which has said repealing the prevailing wage law is one of its priorities for the year. If lawmakers got the chance to pass the petition from the citizen group, Gov. Rick Snyder — who has opposed such a repeal — would not have been allowed to veto it. Instead, the Board sided with the Bureau of Elections, which argued that the petition signatures should go through a second, larger sampling process to determine whether it contains enough valid signatures to go before lawmakers — the traditional course of action when the first, smaller sample yields a “close call” result such as this. “These processes were developed and evolved over many years for reasons,” said Sally Williams, Michigan’s director of elections, urging the Board to let the petition move to the next round of sampling. The prevailing wage law, enacted more than 50 years ago, ensures those who work on state building projects are paid wages and benefits on par with unions. Labor groups say the law helps recruit skilled workers, while conservatives argue it is an undue tax burden on Michiganders. Andrea Hansen, the attorney representing opposition group Protect Michigan Jobs, argued that it is not traditionally the Board’s role to review contested signatures for validity. The Board voted to approve the Bureau of Elections’ recommendation, but some members noted they have the power to review signatures if they choose to. Williams told reporters after the meeting that the elections bureau will have the larger sample of signatures ready Wednesday, and hope to complete the signature vetting process in the next few months. Related: Which 2018 Michigan ballot issues are going strong. Or going down.